We are pleased to have won Wineberry at the 2000 National Show in North Carolina. She was the Lamancha raffle kid. 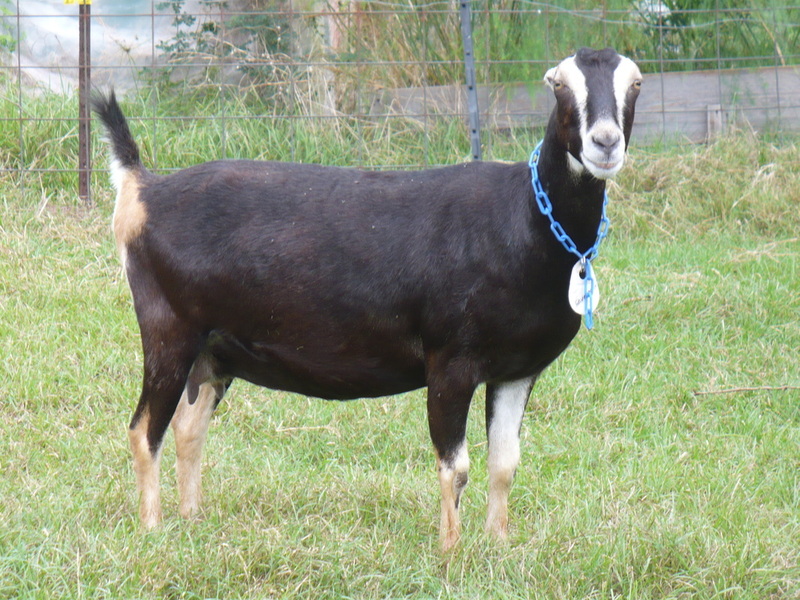 Wineberry placed 2 X GCH as a junior and 4 X GCH as a milker. She is wide, deep, and beautifully blended in the front end. Her 2008LA FS: 91 VEEE. Rosalee is sharp level, and correct. She has placed Junior GCH 2 times . As a first freshening doe last year she was impressive as an milker and in the height and width of her udder. She was GCH at SCTGC show in May 2011. 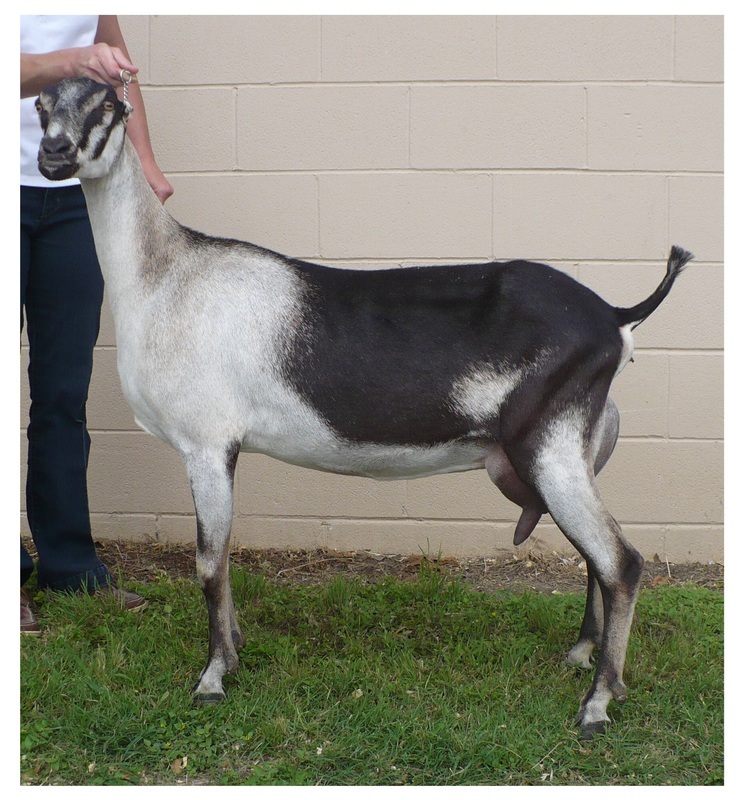 Rosalee was GCH under two judges and BIS in those rings at the SCTGS 2012. And after milking for 15 months. Wheezie is a family favorite. She has the width and deepness that the Austin daughters have. She really puts the milk in the bucket. Delight is tall, long and very correct. Denali is one of the best milking does in our herd. She freshened last May and milked 1 gallon of milk per day until I tried to dry her up in Feb. I had to start milking one time a day and even then it was very hard to dry her off. Roxanne was first place 3 year old milker at Brenham show 2017. 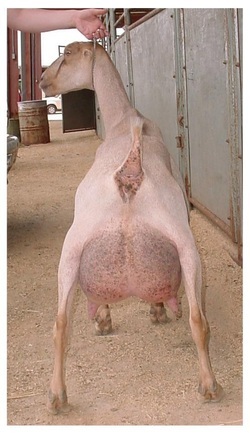 She has a over all great area of attachment udder. A very up hill doe like her dam Rosalee.